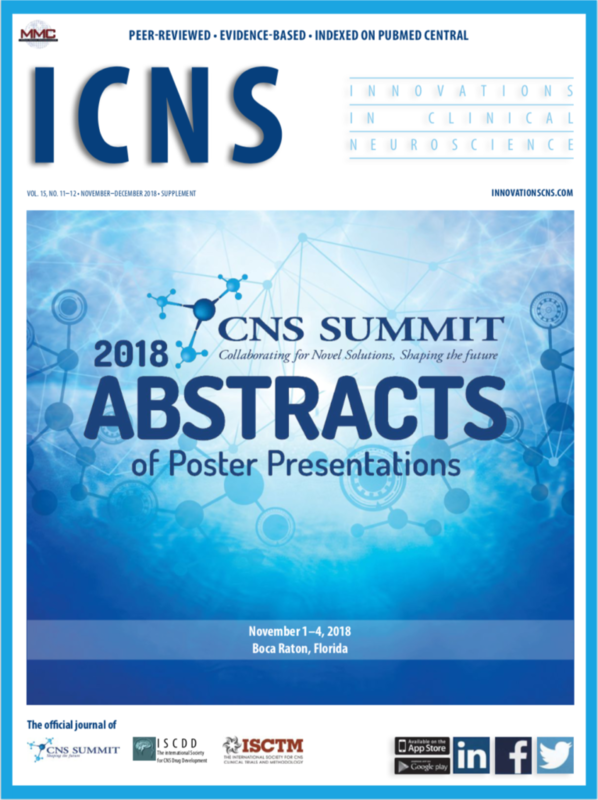 Twice a year, the International Society for CNS Clinical Trials and Methodology (ISCTM) brings together academic researchers, policy makers, and industry and government representatives to focus on promoting advances in the development and use of central nervous system (CNS) therapeutic agents. Over the past few years, this forum has specifically addressed the strategic and operational challenges that contribute to the low rate of translational success in neuroscience drug development versus other therapeutic areas. This supplement, compiled from meeting content, communicates critical thinking from a variety of stakeholders. While the authors may be distinguished, one from another, by their professional affiliations (e.g., academia, government, pharma, and regulatory), the manuscripts are linked by a common mission. Each of the papers included here outlines the authors’ commitments to identify obstacles in current approaches and offer thoughtful, experience-driven suggestions on how to more effectively identify and develop new medications that address unmet medical needs in the area of neuroscience. In the first article, “Translational and Early Phase Strategies for Treatment Development: Report of ISCTM Autumn 2013 Symposium,” Jared Young and his collaborators initiate introspection very early in the development paradigm—the utility and limitations of preclinical pharmacology in informing the clinical approach. Through real world examples, the authors discuss the relevance of linking preclinical data to pharmacokinetic and dynamic outcomes in the earliest human trials. The ability to quantitate exposure and efficacy through the use of various techniques and best practices including modeling, biomarkers, and controlled experiments are discussed as the authors stress the importance of optimizing the use of translational methodology to inform the progression of compounds from animal models to registration trials. In “Lessons Learned and Potentials for Improvement in CNS Drug Development: ISCTM Section on Designing the Right Series of Experiments,” Steve Szabo and colleagues outline lessons learned from completed as well as ongoing trials in some of most challenging areas of clinical research, including cognition, depression, and anxiety. With a focus on clinical methodology, this article provides fascinating insights into data-driven decision making within pharma, as well as presents current National Institute of Mental Health (NIMH) approaches to improve the scientific process of evaluating target engagement, dose selection, and outcome measures (e.g., safety and efficacy). The final article in the supplement considers biomarker approaches in Phase IIb and Phase III studies. In their pragmatic discussion, “Taking Personalized Medicine Seriously: Biomarker Approaches in Phase IIb/III Studies in Major Depression and Schizophrenia,” Harald Murck and colleagues acknowledge several perceived barriers to the adoption of biomarkers in psychiatric drug development. The authors address many of these concerns, and provide data-driven examples that enhance the understanding of biomarkers and their viability in enhancing the success rates of clinical trials. This supplement puts forward both new information as well as scientifically rigorous consideration of the challenges inherent in the current development paradigm. Perhaps more importantly, this collection of papers compels engaged readers to fundamentally re-evaluate their own current concepts of CNS drug development, and hopefully motivates clinical scientists to postulate new methodologies for evaluating potential therapies. These intended results are consistent with the mission of the ISCTM, and are intended to foster interactions among academics, regulators, and industry scientists to significantly improve clinical research in our chosen discipline of neuroscience.